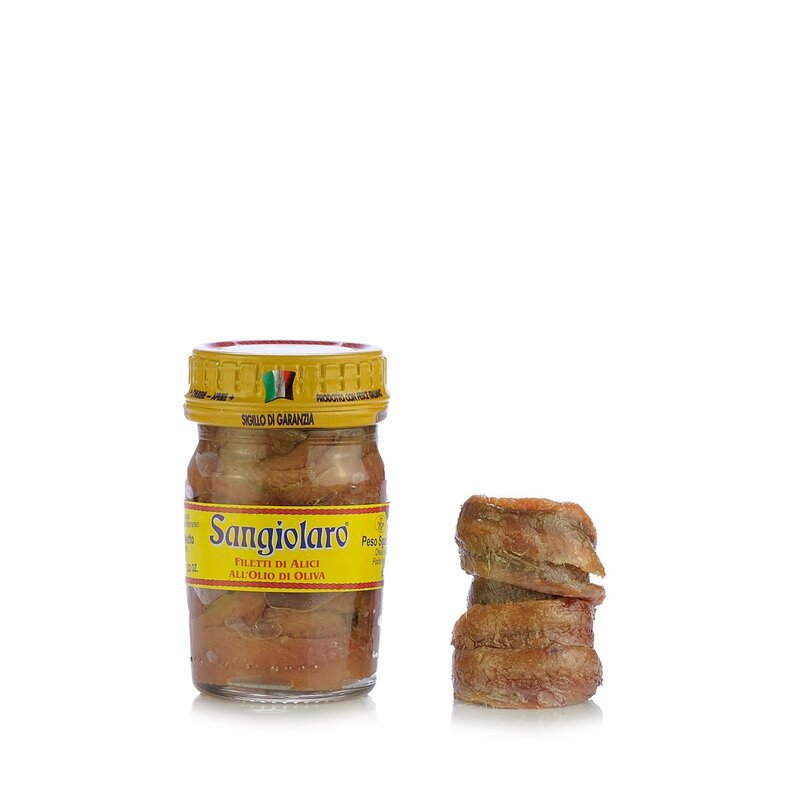 The anchovy fillets from Sangiolaro is a product fished in the Mediterranean Sea. Ingredients Anchovies (engraulis encrasicholus), olive oil, salt. Caught: Cantabrian Sea FAO Zone 27 CIEM VIII. Allergens: fish (ingredient) For more information on product labels, please contact our Customer Service department. The information on the labels of the products may vary for reasons beyond our control, therefore, there may be discrepancies between the information on the site and that on the products delivered. Please always check the information on the product before consumption or use. The anchovy fillets from Sangiolaro is a product fished in the Mediterranean Sea, then filleted, salted and conserved in oil. The company's production is based on antique methods for processing fish, able to enhance the quality and genuineness, and for this they personally follow the recovery and growth of artisan conservation activities, in order to offer the modern consumer products that are typical and genuine, in respect of antique traditions. Ideal if used as a condiment for focaccia and delicious pasta dishes. Fantastic on toasted bread with a bit of butter.